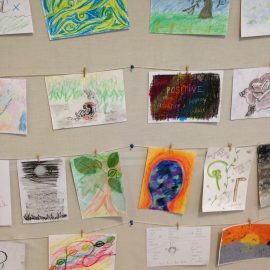 Advocating for Art Therapy on University Campuses The Student Wellbeing Service invites you to take part in a research study conducted by Rhys Hillan, a third year BASc. Global Sustainable Development student at Warwick University, for their Dissertation entitled ‘Advocating for Art Therapy on University Campuses’. The purpose of the study is to see whether or not universities in the UK should invest in art therapy as an alternative choice of mental health therapy for students. Did you know…? …The Student Wellbeing service waiting area is a quiet space which has a table where you can sit and produce your own piece of art to express how you’re feeling or to focus your mind on something creative. Feel free to pop down to Surrey level 1 and add to our gallery!